In the latest case of tone-deaf whiteness, a craft-beer lover in Birmingham, Ala., posted the above picture to Instagram. 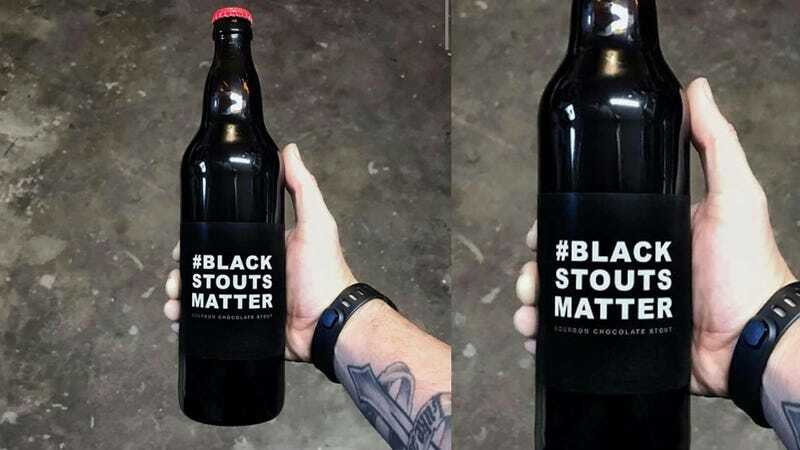 I think it’s a beer label, and not a political statement. It’s cute, if not particularly clever. Do I think it cheapens or insults the movement? Not really. My main concern is if the beer is any good. You. Don’t. Get. To. Have. Everything. I know the conquering, pillaging spirit embedded in many of you won’t allow you to hear this, but there are some things in the world that are off-limits, and this is one of them. There are dead sons and daughters in your jovial little joke. There are 400 years of tears entangled in your cute pun. If you call it anything else, it will taste the same, and if it’s good, people will still buy it. Aren’t those the “free market” principles you so proudly declare? Or maybe you can just call it white tears, which is what you’d cry if a black person did anything equally offensive.